MacBeth Co. was founded in Onekama in 2004 when Beth McCarthy opened the shop in the front third of a century-old feed store on M-22. Right from the beginning the store featured local products and unique gifts that appeals to area residents and hundreds of seasonal visitors who enjoy Portage Lake and Lake Michigan each summer. 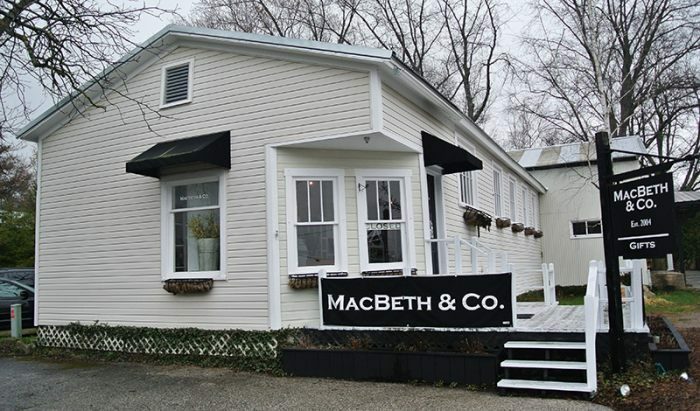 MacBeth & Co. was founded in Onekama in 2004 when Beth McCarthy opened the shop in the front third of a century-old feed store on M-22. Right from the beginning the store featured local products and unique gifts that appeals to area residents and hundreds of seasonal visitors who enjoy Portage Lake and Lake Michigan each summer. MacBeth & Co. is open from Memorial Weekend until Labor Day seven days a week. After Labor Day the store is open only on Friday, Saturday and Sunday.